Classic Carpets of Lawton, Inc.
Classic Carpets of Lawton, Inc. is your destination for high-quality flooring and countertops! We retail and install a wide selection of flooring and countertop options, for any budget or style preference. We know that quality doesn’t come cheap, which is why we provide affordable services for all of our most valued customers. Visit us today to see the many options we offer! Crafting the perfect home interior is important to enjoying a high quality of life in the place where you live. There’s no bigger contribution to your living space than your floors and countertops, which is why Classic Carpets of Lawton, Inc. is here to bring you all of the quality products and materials you need to make your living space a vision of perfection! 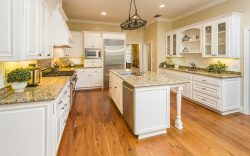 We’ll help you survey all of your options when it comes to floors and countertops in Lawton, OK, so you can make an investment that’s perfect for your home and accommodating to your budget. Whether you’re going for a real hardwood floors and granite countertops, or you’re thinking about a soft carpet and affordable quartz counters, you’ll find numerous options at our store. More than just bringing you a bevy of options for countertops and flooring in Lawton, OK, the professionals at Classic Carpets of Lawton, Inc. are also here to help you make an investment you’re confident in. We can explain the pros and cons of everything we sell, while helping you explore options that are a good fit for your living space and lifestyle. 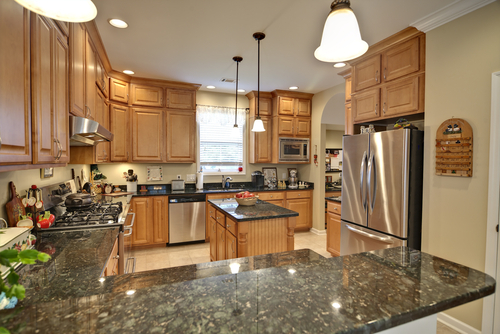 We’re here to do more than sell a product: we’re here to bring lasting value into your home! We invite you to stop by today and see for yourself all of the exciting products we provide. Our business has an honorable affiliation with the International Surface Fabricators Association (ISFA). We’re a family-owned and –operated company, serving the Lawton, OK community since 2000. We offer a wide range of discounts, including Senior and Military discounts, Teacher discounts, and Police and Firefighter discounts. We carry only the opt name brands and are a certified Shaw Studio Dealer. Call us today to learn more about this week’s specials and for a free estimate! For the finest floors and countertops, visit Classic Carpets of Lawton, Inc. today! We’ll help you get great materials for a great price, so make your home a vision of perfection. All of Comanche County, OK!